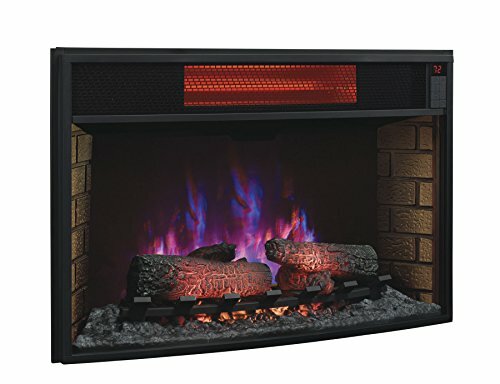 26″ 3D Infrared Quartz Electric Fireplace Insert with Safer PlugTM and Safer SensorTM. Patent pending 3D flame effect technology offers a layered flame effect to create a realistic fire with five adjustable brightness and speed settings. The infrared quartz heat helps to handle the natural humidity in the air, resulting in moist, comfortable heat without drying out the room’s air. 5,200 BTU heater provides supplemental zone heating for a large room. 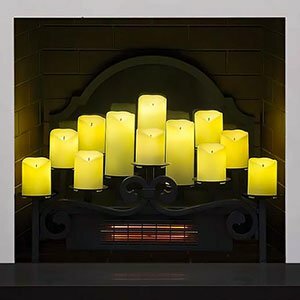 Flame effect may also be operated without or with heat, providing the ambiance of a gentle rolling fire throughout the year. 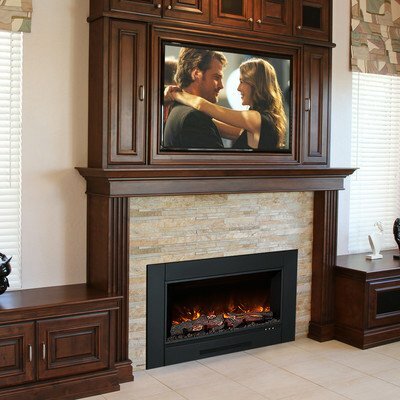 3D flame effect technology offers 125 selectable flame effect options to create the very best ambiance. Five color options, five speed settings and five brightness levels. Adjustable, digital thermostat permits you to make a decision the temperature of your room. Simple, hassle-free installation, requires no venting or gas lines. Includes an owner’s manual and easy-to-follow instructions for installation. 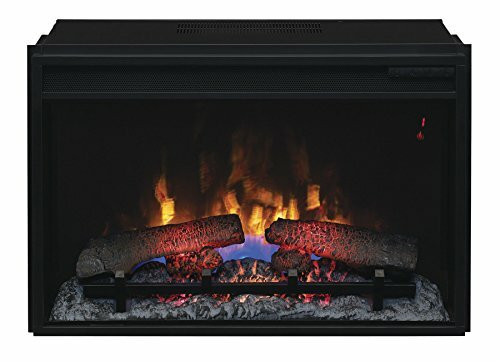 Tempered glass-front display includes a traditional log set and ember bed. Long lasting, energy-saving LED technology and infrared quartz elements for heating. Secure to be used around children and pets. 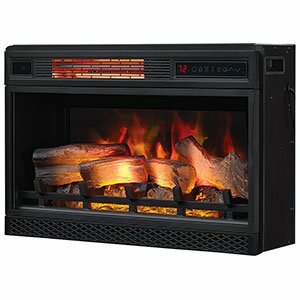 Eco-friendly, energy efficient fireplace does not emit any emissions or other hazardous byproducts.